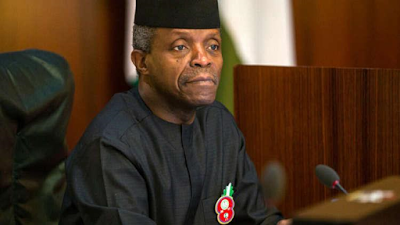 Vice President, Yemi Osinbajo, has encouraged military officers to crush the philosophies that advance careless killings and disorder in the country. He included that they should bolster the Federal Government's exertion in the war developing security challenges standing up to the nation. He said this yesterday amid the passing out parade of military cadets of the 64 Regular Course and Direct Short Service Course 44 at the Nigerian Defense Academy (NDA), in Kaduna. Osinbajo, who was the looking into officer of the parade, stated: "Nigeria is stood up to by enemies whose personalities and motivations are obscure. "Innovation has progressed to the stage whereby individuals would now be able to learn creation of touchy devices on the web. "The military must be more proactive in crushing belief systems that advance careless killings and turmoil under the pretense of Boko Haram or Biafra. "I ask you to be set up to assume your parts in handling the common security challenges standing up to the nation. "I charge you to show high feeling of polished skill, patriotism, and faithfulness which the Nigerian Defense Academy is known for, in the course of your military career. "Let me likewise caution you to dependably work by the control of engagement and as per Nigeria's constitution. "I should again stress the way that the solidarity and unbreakable quality of Nigeria stay consecrated, as per our constitution. "We in this way all have a duty to shun scornful, troublesome discourse and lead, and each other thing that may undermine our national solidarity and cohesiveness. "The subordination of the military to common authority has been a valued age-long practice that has advanced military polished skill in all parts of the world. It is a custom that must be maintained and reinforced in our country. "To accomplish this, every one of our men and ladies in uniform should persistently re-devote themselves to the pledge they have vowed to and subject themselves to vote based and constituted authority. "We should subsume individual interests to the general national goals of peace, solidarity, and equity." A sum of 689 Cadets of 64 Regular Course containing the Army, Navy, Air Force was authorized as officers at the ceremony with service chiefs, state governors and different dignitaries as visitors.